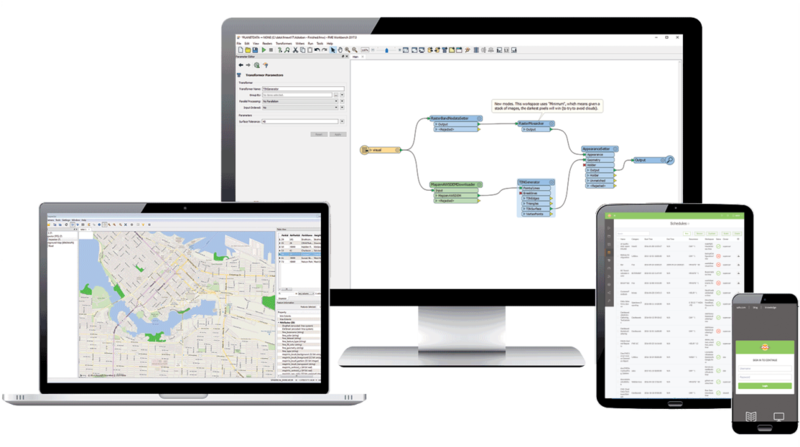 FME is the industry-standard platform for management of geospatial data (and more). It connects the different applications used in a company by integrating data from hundreds of different sources, and automates industrial workflows to maximise efficiency. Do you need to transform, convert and organise large volumes of data automatically, but you’re not a programmer? Do you want to stop worrying about making errors or failing to meet deadlines because manual data transfers are so tricky? FME provides the right system to change the way you work once and for all, to make sure you don’t miss a vital step and to certify your work. You’ll save time and become your team’s go-to person even if you’re not a programmer. FME is the tool that allows you to develop your procedures of transformation, calculation, conversion without using programming code but using a fully parameterizable visual and graphic method. Integrate data in a few quick clicks. FME Desktop uses a visual interface to connect applications and transform data. Each workflow is repeatable and can be run whenever you need it. 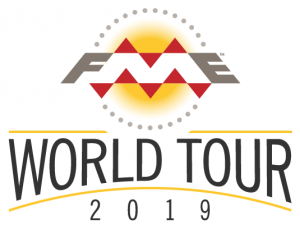 FME Server provides enterprise automation and lets you run workflows in real-time, in response to triggers, or according to any schedule. Run FME flows easily in the cloud. FME Cloud combines the speed and flexibility of the cloud with the automation power of FME Server for worry-free data processing. You can convert more than 350 different formats. The formats are not limited to a specific ambit, they range from alphanumerical to vector data, from raster data to web-service content. You can create data validation procedures and issue reports and/or correct faults. You can re-project your geographical data with a different system of coordinates. You can automate procedures in order to centralise, share, integrate or transform information. It provides graphical tools to display final and/or intermediate results (very useful for procedure debugging).